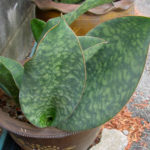 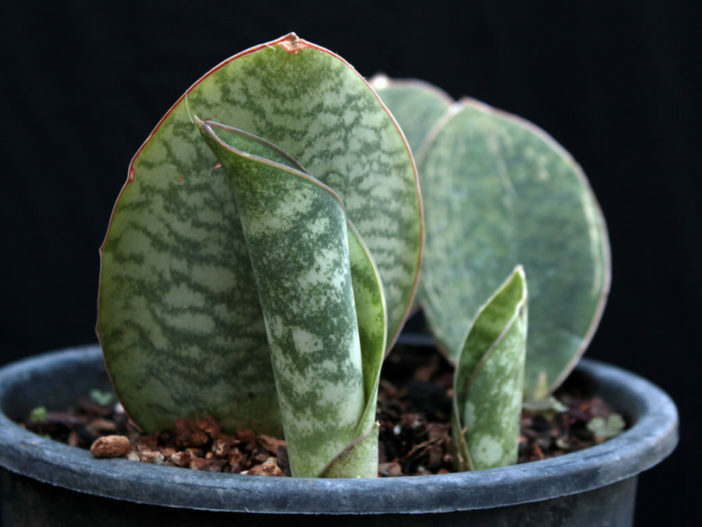 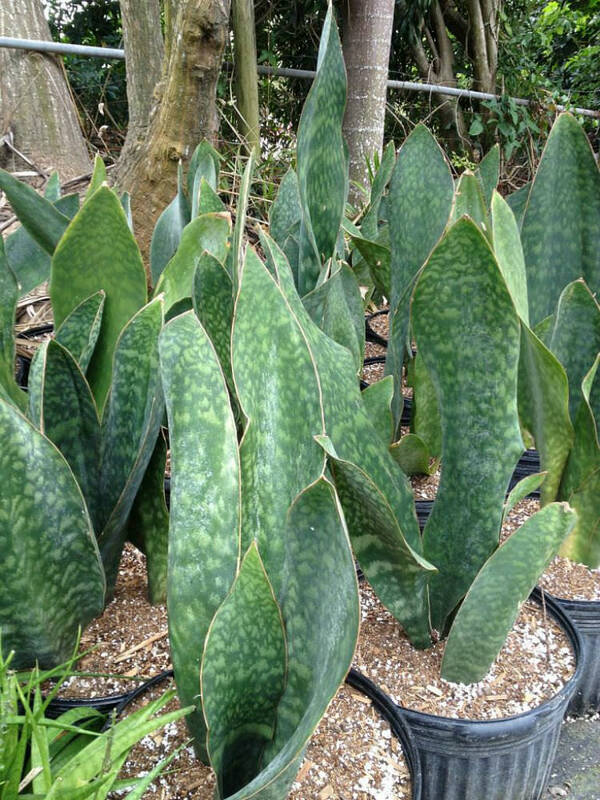 Sansevieria masoniana is a semi-succulent plant, up to 5 feet (1.5 m) tall, with wonderful, long, up to 10 inches (25 cm) wide, dark green leaves with smudged, light green spots and a unique purple-banded sheath (often below soil level). 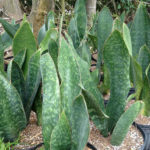 Excellent as a large houseplant, tolerating low light levels and infrequent irrigation. 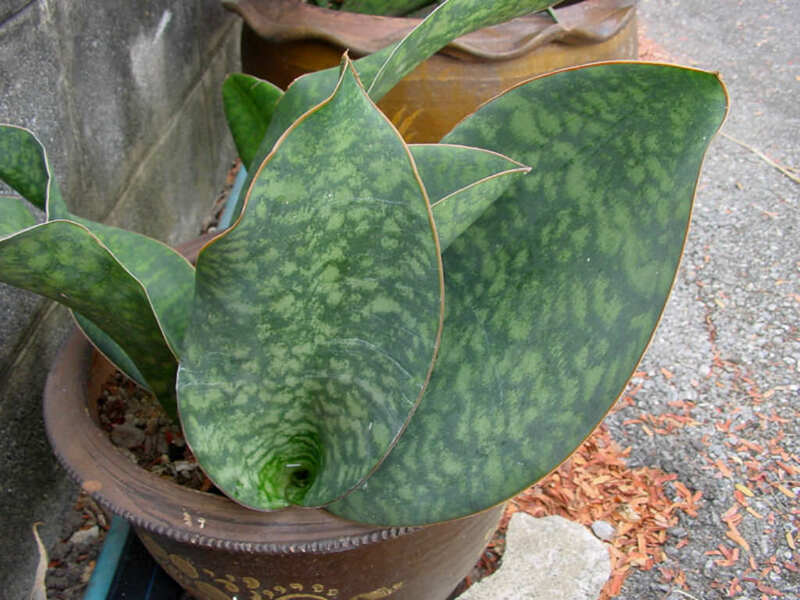 On occasion, if grown in bright light, this plant forms a stalk of white flower clusters arising from the center of the plant.